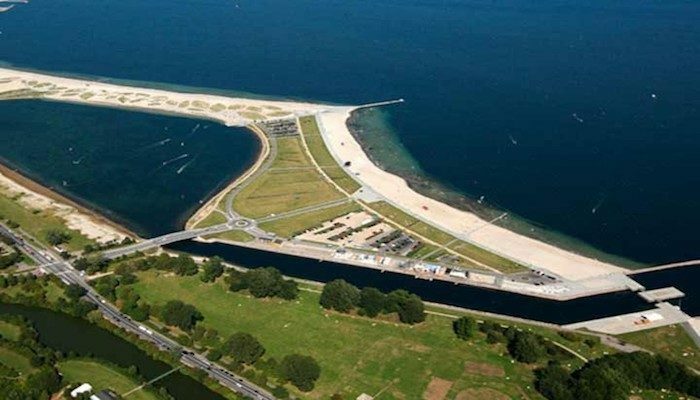 Amager Strandpark is a 4km sandy man-made beach on an island, with a lagoon, and several opportunities for swimming and other water sports. The island was created in 2005. Our route begins at the Amager Strand metro stop. Cross a small pedestrian bridge over to the island. Take a left to run along the paved promenade, to the tip of the island, about 1 mile. The Amager Hegoland is a public swimming area with deck, and changing rooms, and a popular spot to take the sun. Return along the boardwalk, continuing past the pedestrian bridge to Amager Strandpark, where the beach-side promenade begins. Continue along here for about 1 km, then cross a bridge over the water and turn right, making the return to the start by keeping the Tiøren park on your left and canal on your right. A nice detour is Kastrup Sea Baths, a public swimming pool. The final km is along the Amager Strandvej, which as a separated path for running/walking. Amager Strandpark is home to Parkrun, a free group 5k held every Saturday morning. You can see the course map and learn more here.